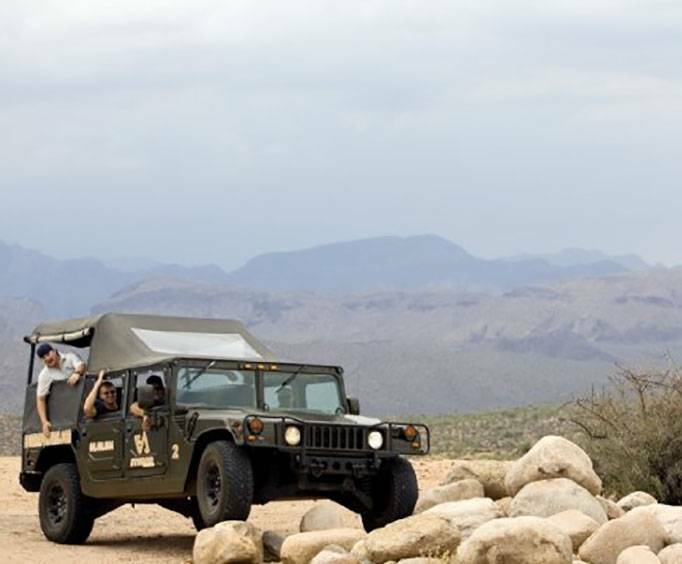 Sonoran Desert Hummer Adventure Tours are a great way to spend your vacation days in the Sonoran Desert. Get away from Phoenix for great views of the Superstition Mountains, Bulldog Canyon, and so many other gorgeous areas in the region. The Hummer H1 will conquer any terrain, making these tours even more enjoyable, with the ability to get to places that many other vehicles can't. 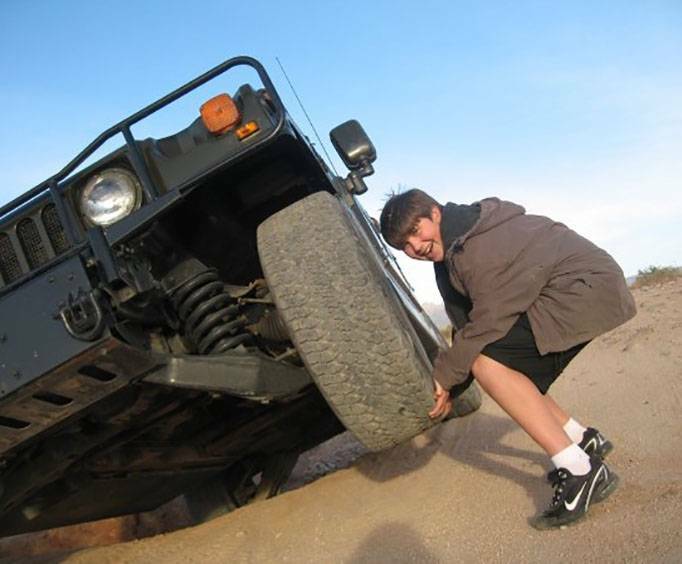 The Hummer provides a thrilling ride and a one-of-a-kind experience you can't get elsewhere. Come hear old Apache legends of how the entrance to the underworld lies deep within the Superstition Mountains, or about how others have speculated about the mountains playing host to a gold mines full of treasure. Learn about area history and the flora and fauna of the region while you are taken through approximately twenty miles of dust-covered trails. Take in some of the best panoramic views of the mountains that make the trip so memorable. With several tour options, guests can choose what best suits their needs and makes their adventure more personal. 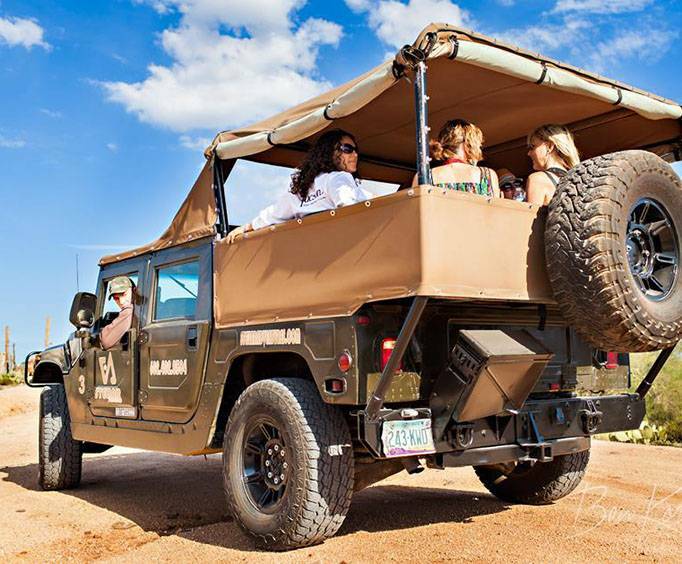 The Hummer Adventure Tours are a great addition to any vacation to Arizona, so be sure to check them out. Book your tour today!